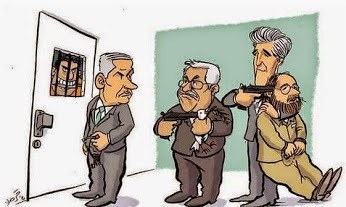 Is John Kerry's Record of Support of Israel As Good As He Claims? For more than thirty years in the United States Senate, I didn’t just speak words in support of Israel, I walked the walk when it came time to vote and when it came time to fight. ...I will not allow my commitment to Israel to be questioned by anyone, particularly for partisan, political purposes, so I want to be crystal clear about what I believe and what I don’t believe. It's great that he wanted to be crystal clear on Israel -- especially considering Kerry's history of flip-flopping on his stand on Israel. Let's take a look at what Kerry's record on Israel actually was. 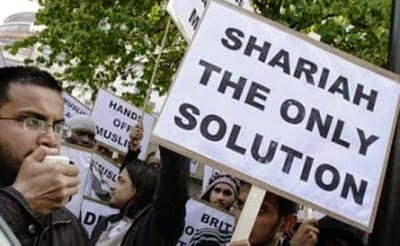 Is Obama Really Opposed To A Fatah - Hamas Unity Government? 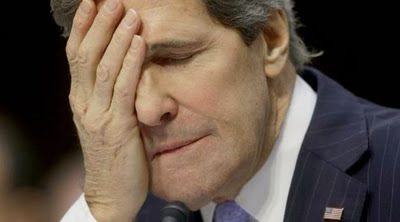 It is all very well for the State Department to come out with a statement that it is wary of Fatah - Hamas deal. Actually, it would be more reassuring if came out opposed to the idea, based on the realities of the two groups, but what do you expect? Herut. Freedom. It was supposed to be that the Jewish People, having reached Israel, would be free. But what I see is that we are still enslaved. Enslaved to a galut (diaspora) mentality: bowing still before international public opinion. Worried about what “they” will say, or do. When last I wrote, it was clear that the continuation of the “peace negotiations” was going to be a non-starter. Or, at very least, if the two sides were to return to the table, it would come to absolutely nothing. I had hoped to be done with writing about this, hoped that there would be nothing more to write in this regard. But, alas, it was not to be. Our prime minister – however ludicrous the situation and the demands of the PA – never says with finality, “Look guys, the current situation is obscene. We’ve given it our honest best, and we’ve had it.” He prefers to play that game, so that the “failure” of the talks doesn’t appear to be our “fault,” all the while knowing it can go nowhere. 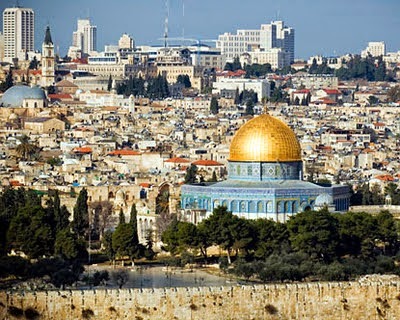 No Israeli government will survive or support any concessions made in Jerusalem and it is time for the U.S. and the international community to recognize this. On 1 April 2014, Palestinian Authority President Mahmoud Abbas signed letters requesting that "the State of Palestine" be granted accession to 15 international conventions and treaties. 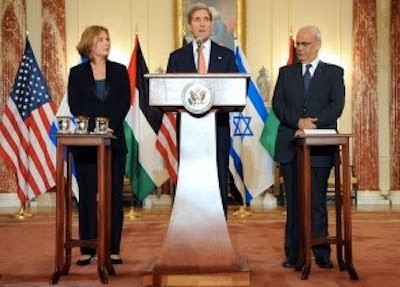 This action by the Palestinian leadership, and the consequent, hurried acceptance of the Palestinian applications by the UN and by the Swiss government, raise serious questions both regarding the flawed perception as to the very existence and legal status of a sovereign state of "Palestine," as well as to the potential implications of what are serious violations of the Oslo Accords and of the very integrity of the international law of treaties. If the UN and the governments of Switzerland and the Netherlands acted in accordance with their legal and moral duties pursuant to international treaty law and practice, they would have determined that the requests by the Palestinian leadership for accession to the conventions fail to meet the requirements of international law. 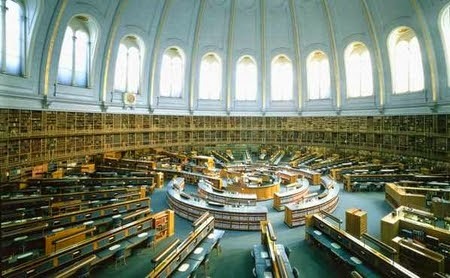 Daniel Pipe: No Longer Banned in the British Library! Justice Minister Tzipi Livni and Palestinian chief negotiator Erekat. 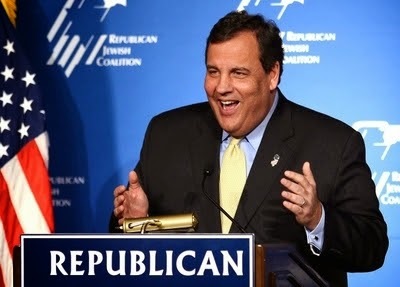 In the Q&A session, Christie recounted a trip he took with the RJC to Israel in 2012. 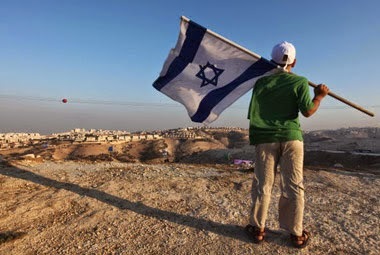 In the course of a choppy sentence in which he expressed his admiration for the country, he used the term occupied territoriesto refer to the West Bank: "I took a helicopter ride from the occupied territories across, … and just felt, personally, how extraordinary that was, to understand the military risk that Israel faces every day." That term caused a stir in the audience. The current situation regarding “peace negotiations” has evolved into one beyond imagining. I do not use the term “evolved” to suggest progress to a higher state, I assure you. What is more, everything is in almost hour-to-hour flux. And so, while I hope to send this out today, I advise my readers that within hours of your reading this, the situation may have again shifted. In point of fact, I had written an extensive posting yesterday, and before I transmitted it, news broke that so changed the situation that I had to table it. In the last posting I sent out, I had touched upon a number of rumors – explaining that media reports on this situation were so conflicting that it was impossible to determine what was accurate and what not. Now, we have a considerably clearer – but still muddled - picture. 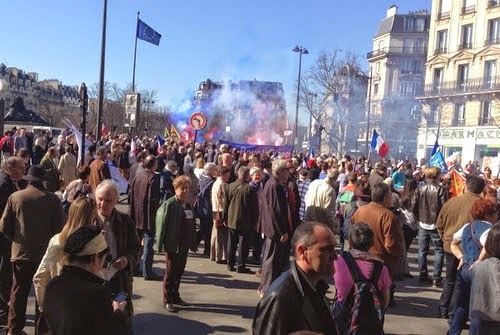 On a recent Sunday in Paris, I had the opportunity to witness an anti-immigration street protest. The approximately 600 participants followed started next to the catacombs in Place Denfert-Rochereau, walked a1.9 km route in about 1½ hours along two broad boulevards, and ended at the Place d'Italie, where they spent an equal length of time listening to speeches.